Great selection of Thanksgiving Day clipart images. Browse these featured selection Thanksgiving cliparts for use in websites, blogs, social media and your Thanksgiving celebration. Thanksgiving Day began as a day of giving thanks for the blessing of the harvest and of the preceding year. Sending your gratitude and thoughtfulness with a custom Thanksgiving card would be a sincere celebration. Edraw clipart software provides users with various vector Thankdgiving day cliparts, including pumpkin, turkey, cranberry, hat and more plants etc. 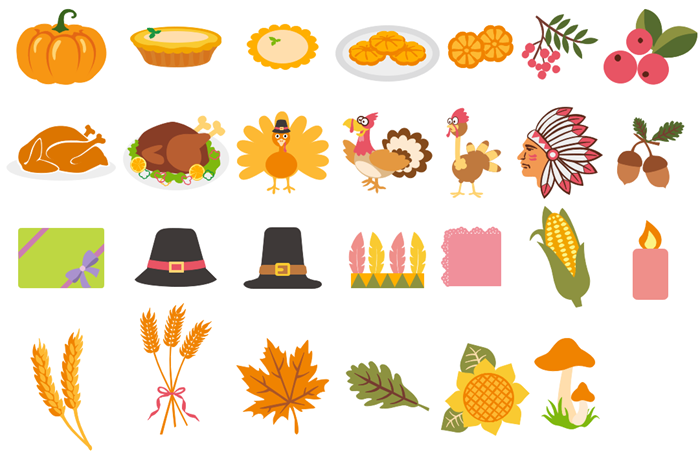 Click on the picture below to download and customize these Thanksgiving vector cliparts for free. Send Thanksgiving cards to your family and friends to make this day extra special. Lots of free exquisite Thanksgiving day cliparts and card templates are great for inspiration. 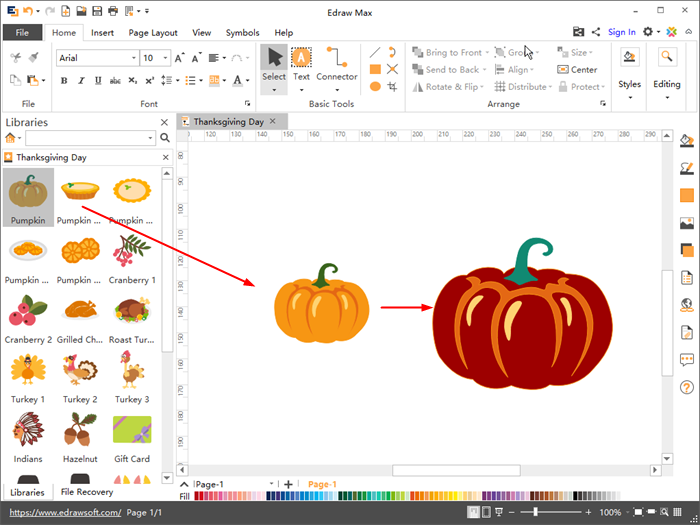 Drag a built-in Thanksgiving symbol from the Thanksgiving Day library and drop it on the canvas, you can make changes in coloring and layout for necessary customization. With Edraw clipart software, you can add your own libraries and save customized symbols to them. Learn how to build and manage your own library. Personalize a Thanksgiving greeting card to thank all the blessings in your life. 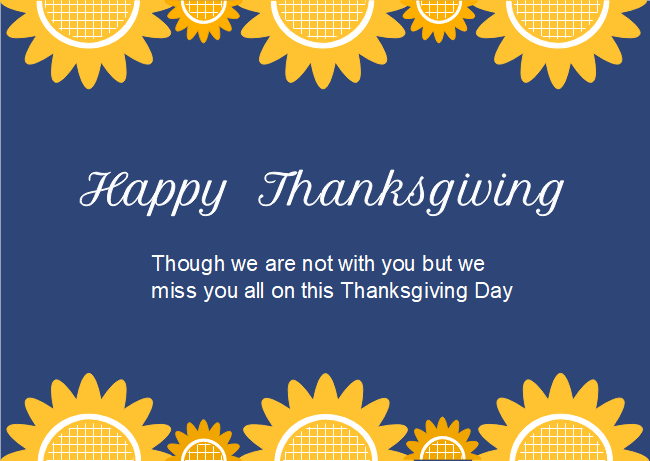 Massive customizable Thanksgiving card templates from our card software give you quick and free access. Featuring navy background and yellow floral patterns, the sunflowers Thanksgiving card is simple and elegant. 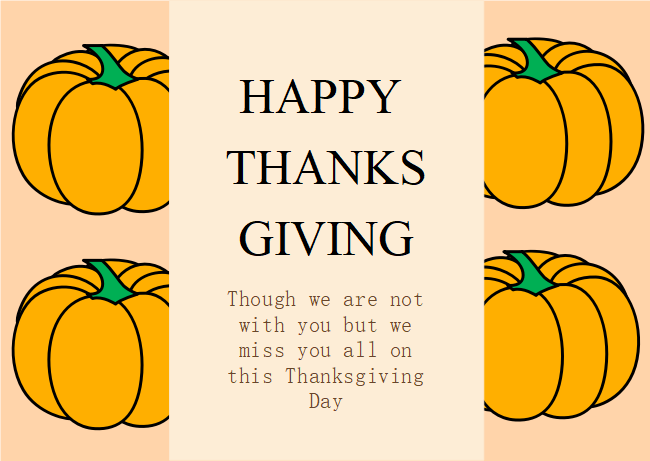 Personalize the card template by adding illustrations that echo with Thanksgiving theme and typing your thanks message, no drawing skills required. Celebrate the blessing of the harvest and of the preceding year with a Thanksgiving card. The pumpkin Thanksgiving card features a warm background with comic pumpkins and black typography. Edit this template to fit your style with Edraw's easy-to-use customizing tools.